In his New York Times bestseller The Urban Monk, Pedram Shojai helped tens of thousands of people create more time, energy, and passion in their lives. 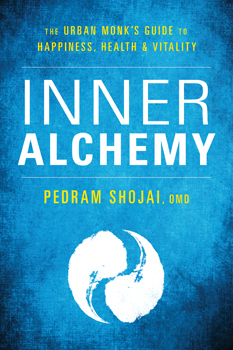 Shojai's Inner Alchemy takes us deeper. Drawing from his background as a Qi Gong master, accomplished physician, and former Taoist monk, Shojai fuses energy work with an alchemical perspective, resulting in a highly effective daily practice that not only heals and invigorates your body, but expands your awareness and personal power. You'll explore the body's energy matrix and learn specific techniques to clean your energy field - including diet, exercise, sleep, and lifestyle tips - all within the context of modern life's challenges. Shojai also shares advanced techniques, offering a 100-day practice formula that - when done with committed intention - can radically transform your life.